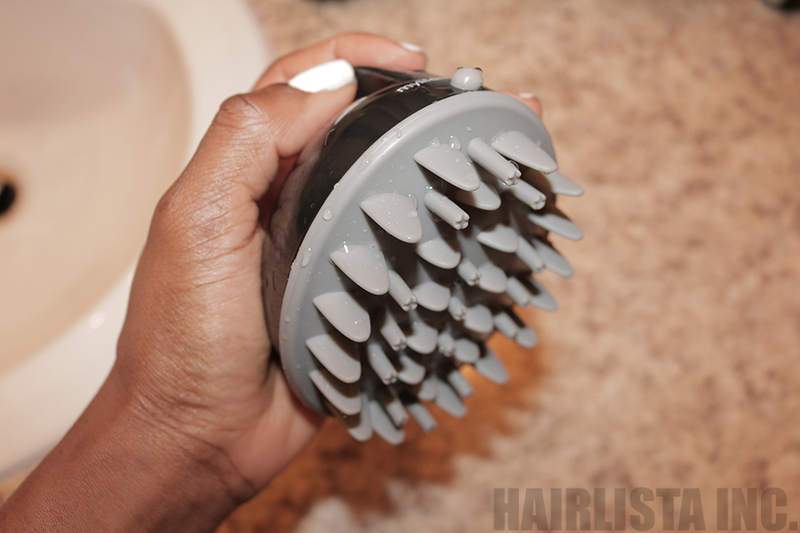 March 2016 - Hairlicious Inc.
Upgraded My Wash Day With My Scalp Invigorator! Let's face it, sometimes wash day can be a bit mundane as you are doing the same routine over and over and over again, each week! Well.... this wash day I stepped it up a notch by grabbing my scalp invigorator for a quick deep cleaning! 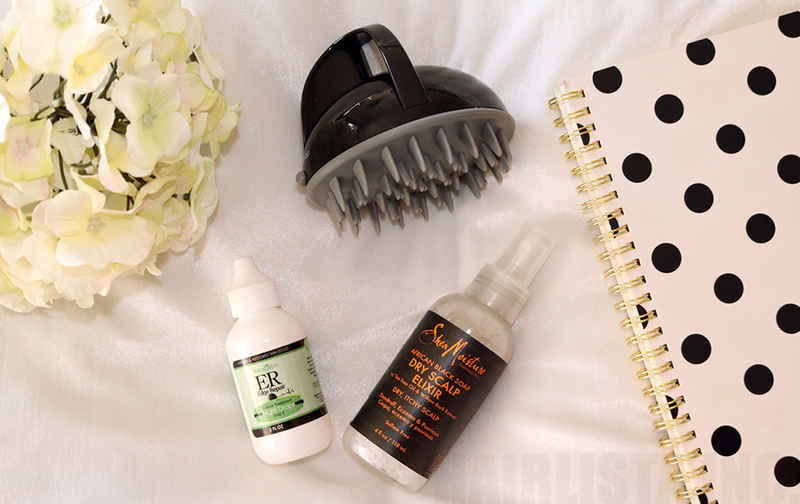 Lately, I've been so focused on stepping up my "scalp game" for a healthier scalp by increasing my scalp stimulation! This session was just the icing on the cake! Not only does the scalp invigorator massage my scalp while I shampoo, it also lifts away dead skin cells so nothing is inhibiting my growth. As a bonus, it's extremely relaxing (OMG). Don't waste time! Visit: SCALPINVIGORATOR http://vpwow.com/hairlista5. Use code: HAIRLISTA5 at checkout and enjoy!! 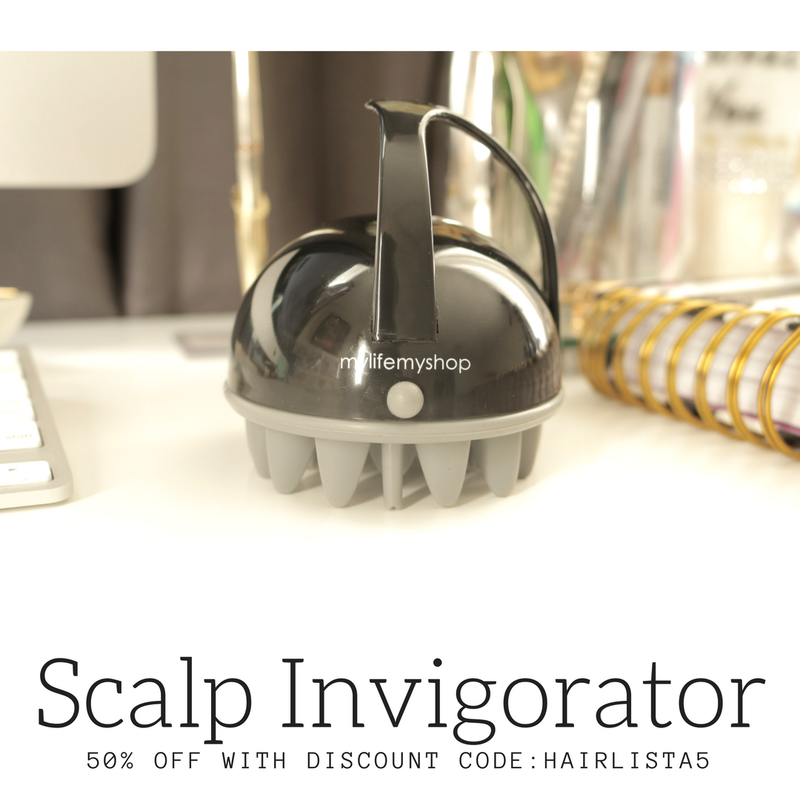 ALL my Hairlistas can save 50% off the Scalp Invigorator! Have you tried the Scalp Invigorator? How did you like it? 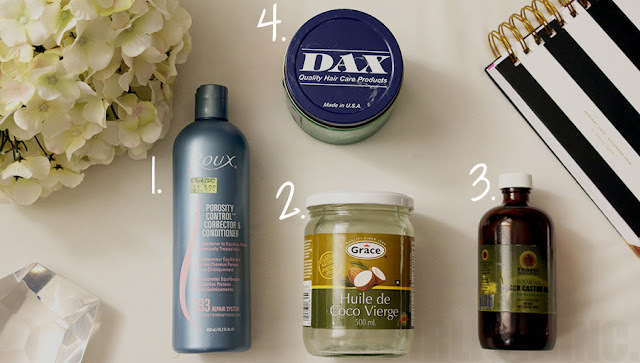 How I Prepare My Hair For Relaxer Day and More - Detailed Overview! Relaxer day always brings excitement as it only comes 4 times a year! That's right! I only relax 4x/year i.e. 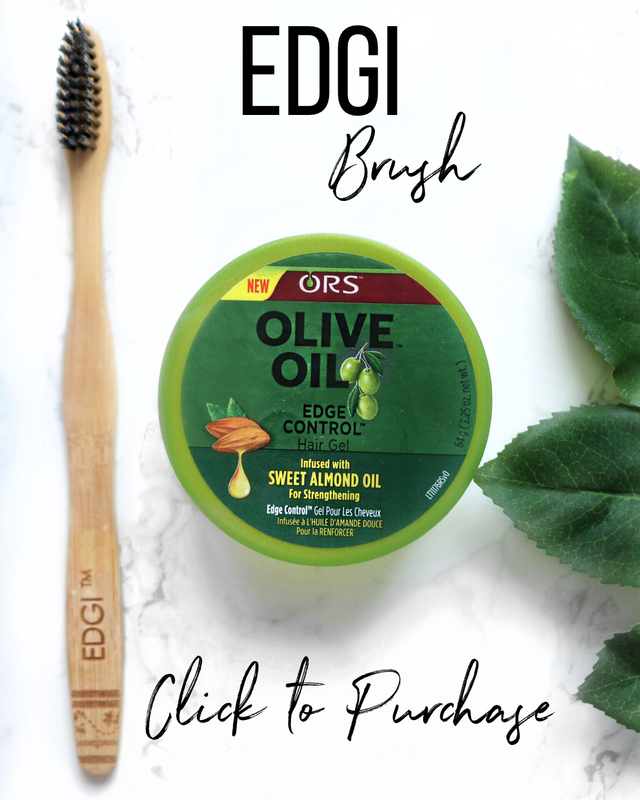 Winter, Spring, Summer and Fall using ORS Olive Oil Normal Strength Relaxer (lye). 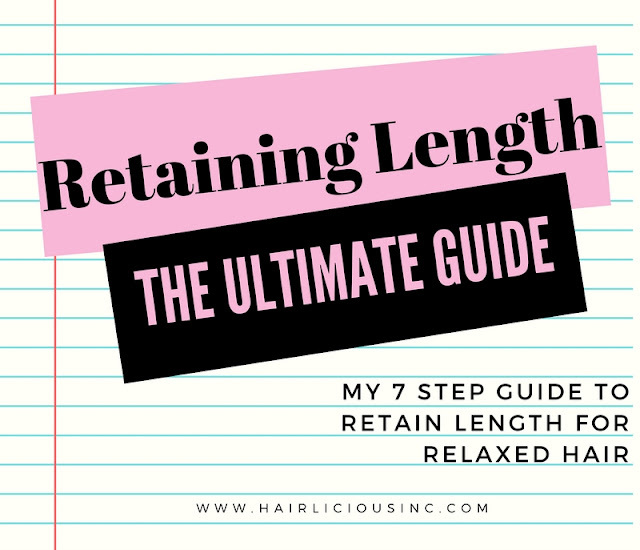 I never started out this way but, over the years, I slowly began to stretch my relaxers from every 8 weeks to every 12-14 weeks. If you aren't there yet, don't worry, stretching your relaxers takes patience and practise. 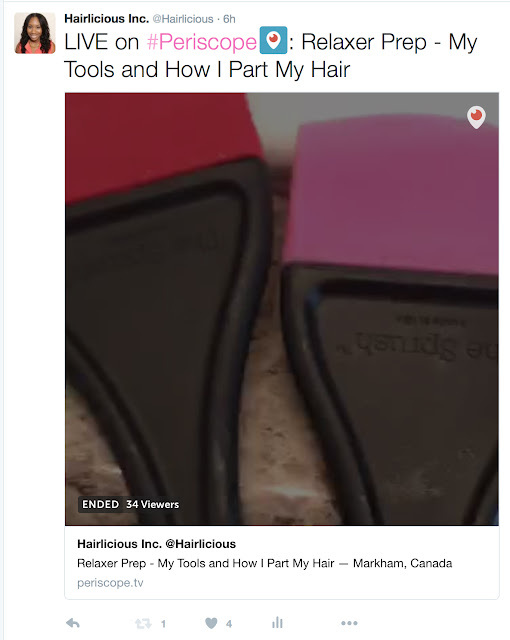 So today, I took my relaxer prep and tools to Periscope to share with my Hairlistas a quick run through of how I prep my hair prior to applying my relaxer. 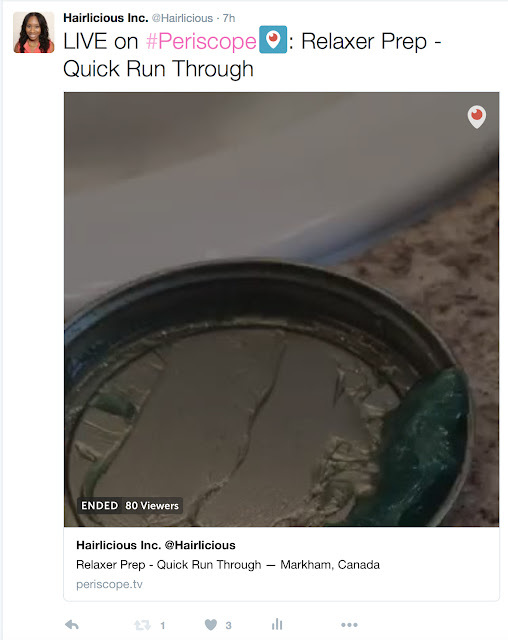 If you missed it, check out my twitter page for Relaxer Prep- Quick Run Through videos! My relaxer prep has by far become one of the most important steps I've incorporated into my healthy hair care regimen, as it has allowed my hair to remain healthy. Here is a detailed breakdown of what I do one(1) week prior to relaxer, relaxer day and one(1) week after my relaxer.. I use a clarifying shampoo to rid my hair and scalp of any build up. This allows my new growth to accept the relaxer better. I follow up with a medium protein reconstructor/treatment for 20 minutes using heat. 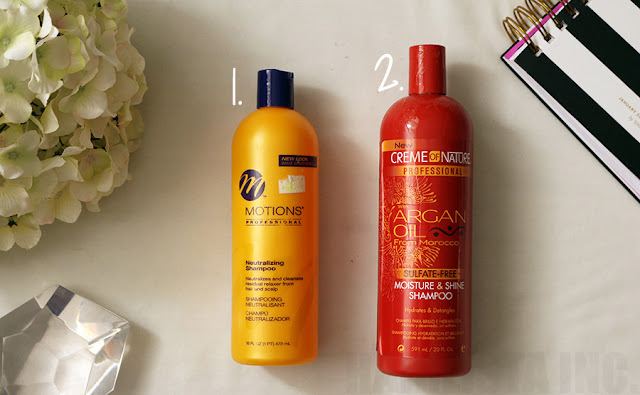 I follow up with a moisturizing deep conditioner to soften and moisturize my strands. I apply my leave-in and air dry. I apply Roux Porosity Control to my entire head, neglecting my new growth, focusing on coating my previously relaxed strands. The Porosity control is pH balanced (pH 4.5); therefore, when in contact with the relaxer, has I'm rinsing it out, it will begin to neutralize the relaxer for me preventing overlap and over-processed hair. In essence, the relaxer will stop working as it touches my ends. Not to mention, because it has so much slip, it helps to detangle my hair. 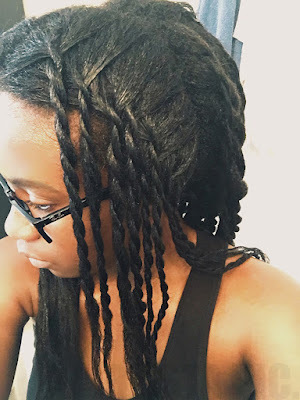 I apply the coconut oil over the porosity control, again avoiding my new growth, to aid in separating any knots/tangles in my hair, but to also protect my hair from relaxer run-off. The coconut oil gives my hair a quick treatment prior to neutralizing. Jamaican Black Castor Oil is applied to my forehead, temples, ears and the skin around my nape for protection. It works like a charm = no burns! As "ol skool" as DAX is, its a gem! I use this grease a final step to coat my previously relaxed hair. Because it's petroleum based, the relaxer stands no chance in penetrating through the grease during the relaxer rinse out step. DAX creates a barrier, between my strands and the relaxer, and that is why it will forever be a part of my relaxer prep regimen (the neutralizing shampoo removes all traces of the petrolatum). I part my hair from ear to ear. I tackle the front and my sister tackles the back during the relaxer process! I part my hair in one inch sections (approximately) all over, and begin to twist loosely. With this step, I'm able to lift each twist and apply the relaxer directly to my new growth. 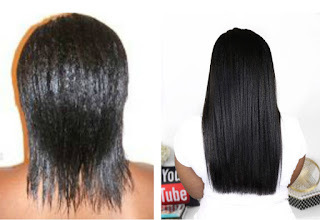 These sections help in applying the relaxer quickly and effectively. Not to mention, I have more control this way. 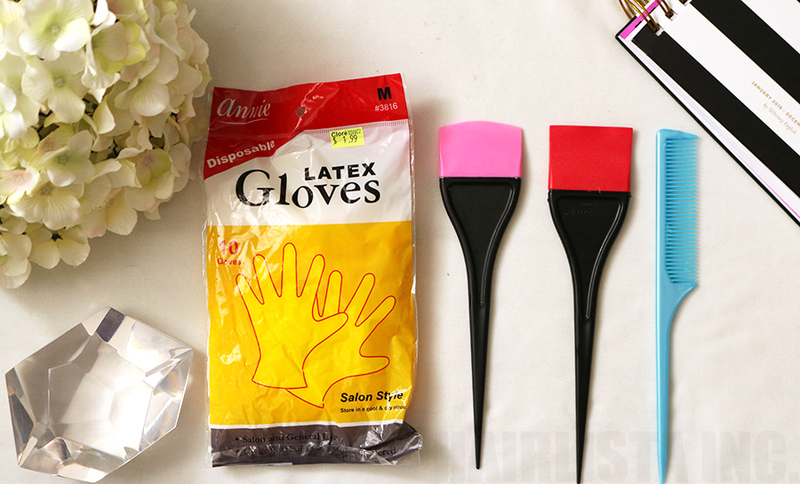 Of course gloves are a must! I love the fact that these latex gloves are cheap and they work on my touchscreen phone aka my timer (25 minutes on the clock!) for my relaxer. My sprushes come in handy when applying my relaxer - no snagging or breakage! Plus my fine tooth-comb glides through my new growth (at the back only!) to straighten it out. After 25 minutes on the clock, I rinse out my relaxer and follow up with my neutralizing shampoo. I rinse the relaxer out thoroughly and do a quick shampoo to stop the relaxer from processing further. I then lather up again and this time I let the shampoo sit on my hair (just like conditioner) for a total of 5 mins. I do this twice and then follow up with a 10 minute session (i.e. the shampoo sits on my hair for 5 mins, 5 mins and then 10 mins). I then follow up with my sulfate free shampoo to restore extra softeness and slip to my hair. The best part♥ .... deep conditioning! 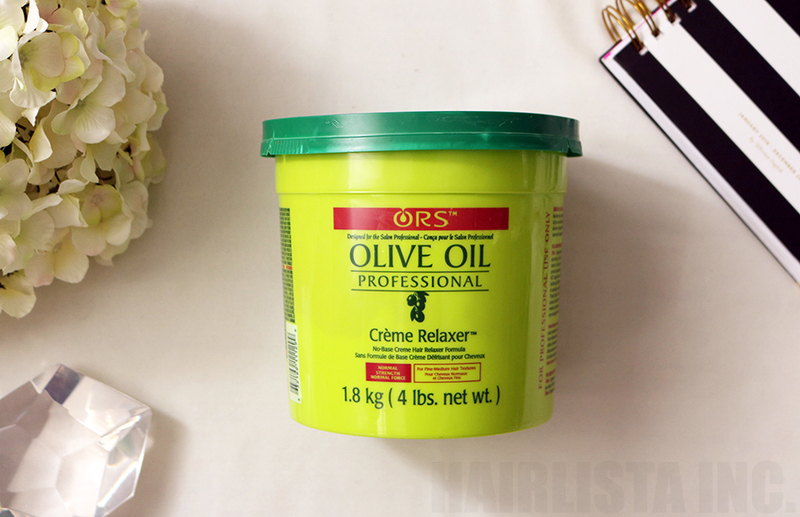 Each relaxer day consists of my ORS Olive Oil Relaxer (lye/normal strength) and my ORS Olive Oil Replenishing Conditioner - awesome combo! The replenishing conditioner gives my hair a great balance of both moisture while restoring strength after a relaxer. I mix a couple of my favourite oils i.e. Coconut oil and JBCO right into my conditioner for an oil treatment. I go straight under the steamer for extra conditioning benefits for 30 minutes. That's it! I then apply my leave-in conditioner and air dry. Sometimes I pull out my flat iron for a sleek look, other times I just moisturize, seal and do a bouncy braid out! I go back to my regular routine of using a light protein reconstructor on dry hair with coconut oil for 15-20mins with heat. Follow up with a sulfate free shampoo. 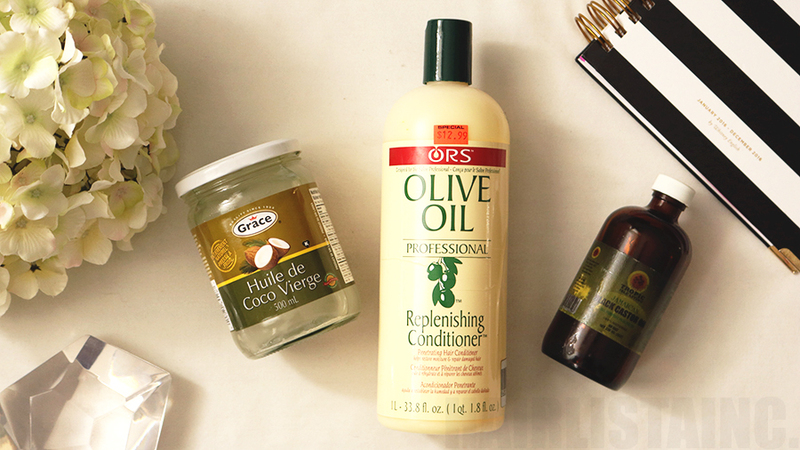 Deep condition with a moisturizing deep conditioner, plus oils, for 30 mins. Apply my leave-in and air dry! What is your relaxer day process like? What tips and tricks do you use to prep for your relaxer? or for the day of your relaxer? Scalp health tends to get overlooked and is slightly underrated - why? 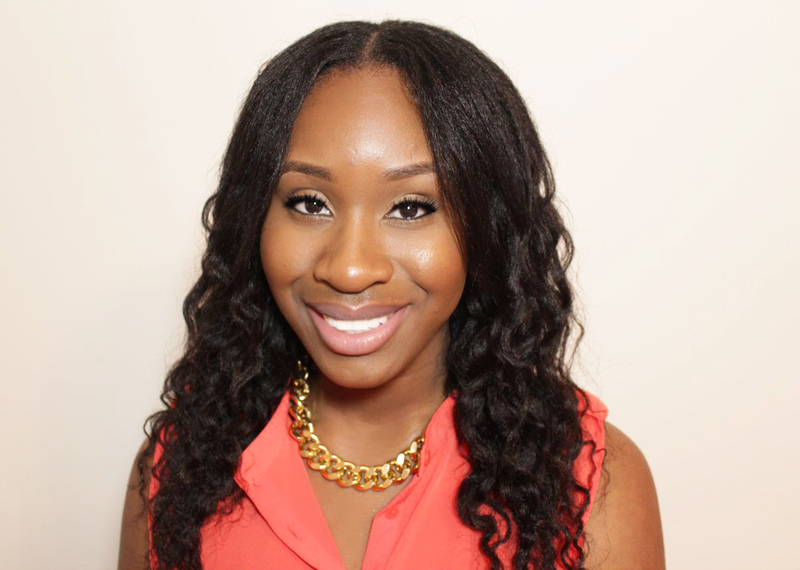 Because many still carry the misconception that a dirty scalp equates to more growth and longer hair. This is wrong! The truth is, a healthy scalp is the foundation to healthier hair. It's very important to instill these basic healthy habits when it comes to taking care of your scalp. This year I've taken a liking to re-educating myself on scalp health and improving the way I "treat" my scalp on a weekly basis. When I say scalp, I'm also including my edges and hairline in that category. I've never had scalp issues i.e. itchy scalp, dandruff, etc. but I thought I would step my game up - just a little. Lately, I've been using Shea Moisture African Black Soap Dry Scalp Elixir throughout my scalp (2-3x/week) as it helps to exfoliate and detoxify the scalp helping to remove build up. We all know less build up means more growth. If you are one who experiences dryness, itching and soreness in the scalp, this is for you! Nouritress ER Edge Repair Night Drops is formulated to strengthen and stimulate the capillaries that supply blood to the scalp and hair follicles to help nourish weak follicles. I'm testing this out as it's supposed to be great for those who have weak edges. Now the Scalp Invigorator is another treat to a healthier scalp as it vibrates (when turned on) to lift dead skin cells - get this, it's formulated for the shower! I have yet to use it in the shower with my shampoo, but I have been using it on dry hair as part of my "regular" scalp massage for extra stimulation. Can't wait to try shampooing with it. Do you have a particular scalp regimen? 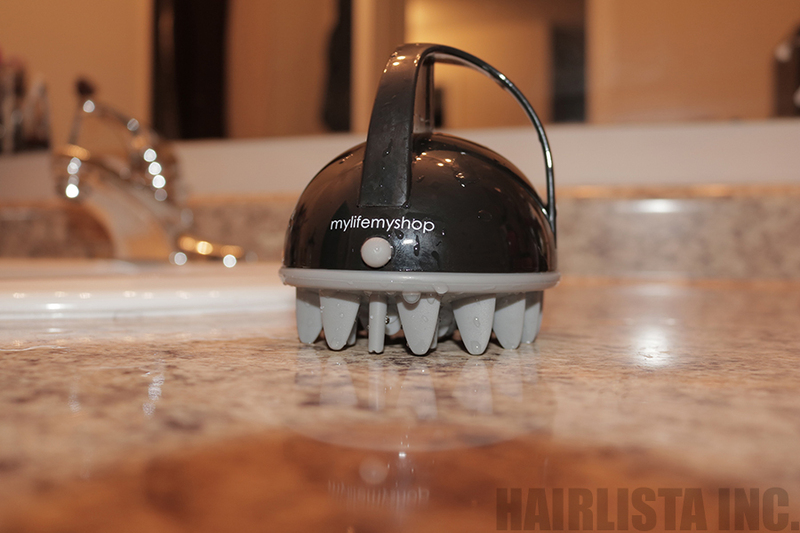 What are you doing to keep your scalp clean and stimulated? As you know I'm officially a planner addict :) I made my decision to go with the 2016 Day Designer after much thought, reviews and experience with my previous planner - Kate Spade. I'm truly excited to see what the future holds for me and my new planner. So far, I'm so in love with it and I'm obsessed with the black and white stripes with gold. It's perfect. 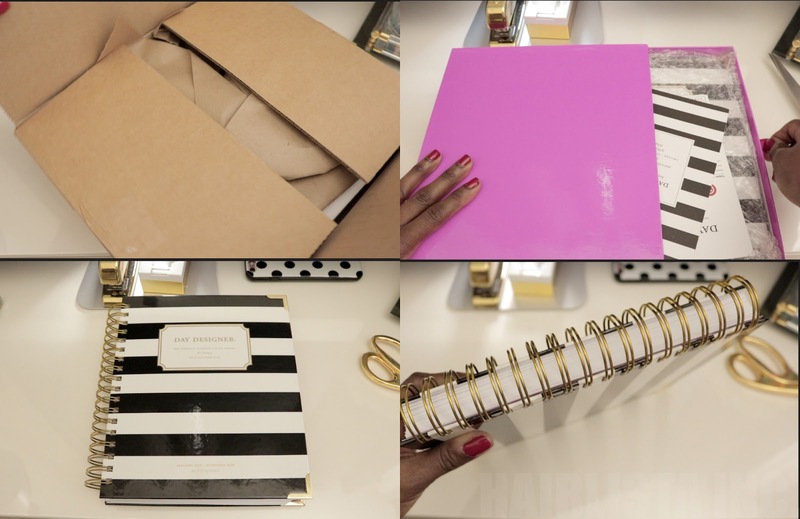 Anyways, enough chit-chat, check out my unboxing video! Thanks for watching!! Enjoy.